Mazda North American Operations has reported its total sales for August, making a total of 25,846 vehicles, which is a small 1% drop from last August. Year-to-date sales are likewise slightly down compared to last year, with the reported 194,559 vehicle sales representing a 2.4% drop compared to last year. Broken down to a day-to-day basis, this August sold 4.7% fewer vehicles per day compared to last August. 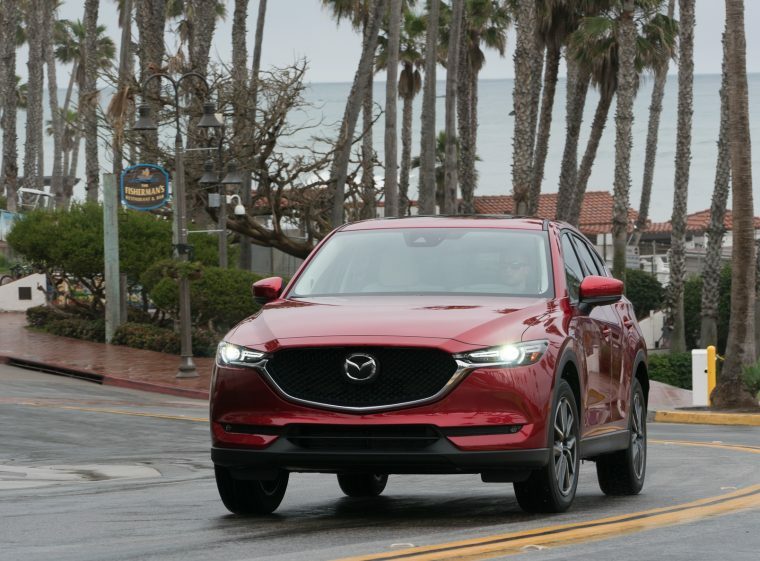 When the sales numbers are broken down, Mazda reports more or less a continuation of the sales pattern seen across the industry—passenger car sales are falling and SUV sales are rising. Mazda’s top seller was once again the CX-5, which posted its fifth record-breaking month with 11,631 vehicles sold, an increase of 9.6% over last year. While both the CX-5’s closest siblings, the CX-3 and CX-9, posted small drops in sales, in all the CX-5’s gains were enough to power the brand’s SUV sales up 6.5%. Like in past months, Mazda’s i-ACTIV All-Wheel Drive remains the majority choice for SUV buyers, with 64.3% of all SUV sales using that drivetrain. Another Mazda vehicle to see sales increases in August was the MX-5 Miata (including both soft-top and hard-top versions), which sold 901 models of a 9.5% year-over-year rise. Mazda’s other vehicles, however, continue to slide, with the Mazda3 making a 7.4% drop to 6,754 vehicles sold and the Mazda6 dropping 17% to 3,323 vehicles sold. Meanwhile, Mazda Motor de Mexico reported increased sales for August, with a 1.9% bump over last year. Below is a detailed breakdown of Mazda North American Operations’ sales for August.